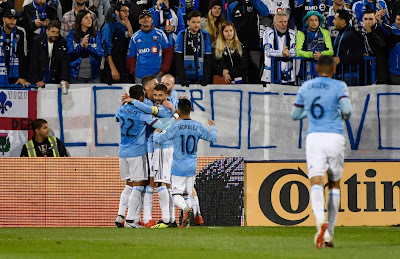 NYCFC's hopes of finishing in the top two in the Eastern Conference took a major dent as they lost ground to Atlanta and the Red Bulls. Atlanta beat Real Salt Lake, 2-0, to improve to 19-6-5, with 63 points, while the Red Bulls beat Toronto, 2-0, and are now 18-5-7, with 59 points. With four matches left, the most points NYCFC can get is 62, so they cannot catch Atlanta, and the Red Bulls need four points (either from their wins or NYCFC dropping points in ties or losses) to clinch second. 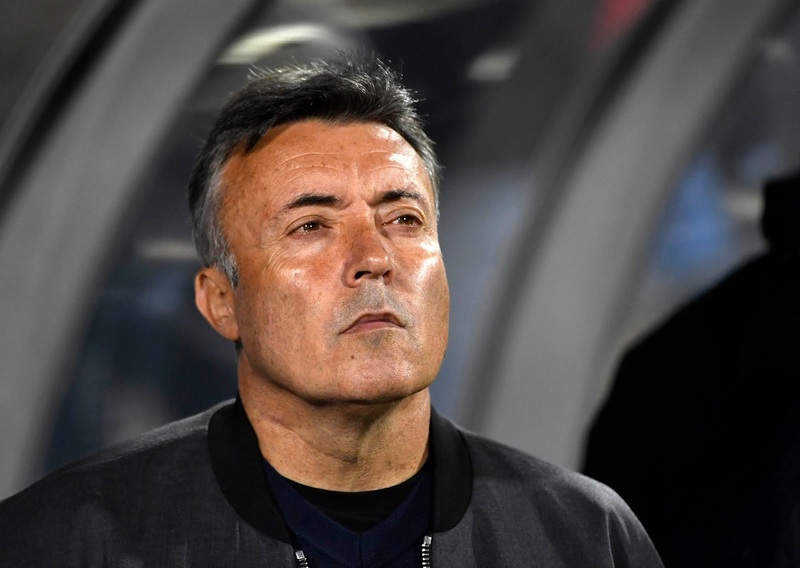 NYCFC had a different look than their last match, two weeks ago against DC United, as the starting lineup included Jo Inge Berget back from injury, as well as Maxime Chanot, who was away from the team for international duty; and Alex Ring, who was suspended. Berget played a big part in the opening goal of the match in the 17th minute, as he raced onto an incisive cross from teammate Ben Sweat and forced Montreal's Rudy Camacho to divert the ball over the onrushing goalkeeper Evan Bush. Camacho was charged with the own goal, which gave NYCFC a 1-0 lead. 10 minutes later, Montreal responded, with Micheal Azira, on a feed from Ignacio Piatti, earning the equalizer. NYCFC Head Coach Domenec Torrent. USA Today Sports. NYCFC is back home at Yankee Stadium this Wednesday night at 7 p.m. against the Chicago Fire and Bastian Schweinsteiger.